The target of an apparent hit in Roodepoort on Saturday was a Serbian man carrying an identity document from the old Czechoslovakia. It's also believed that he was linked to several other Serbian nationals who have been killed in gangland-style assassinations in South Africa over the past year. Police sources have identified the man who was shot in broad daylight in Allen's Nek on Saturday morning as 51-year-old Jugoslav Smiljkic. The man had been standing next to his Honda motorbike and making a phone call, near the intersection of Christiaan de Wet and Rooibok Street at around 10:30, when he was gunned down. A black Hyundai sedan pulled up behind him with four occupants in the car. Two men dressed in black and wearing balaclavas, gloves and sunglasses, fired shots at Smiljkic before getting back into the car and fleeing the scene. Fifteen empty 9mm cartridges were found at the scene. 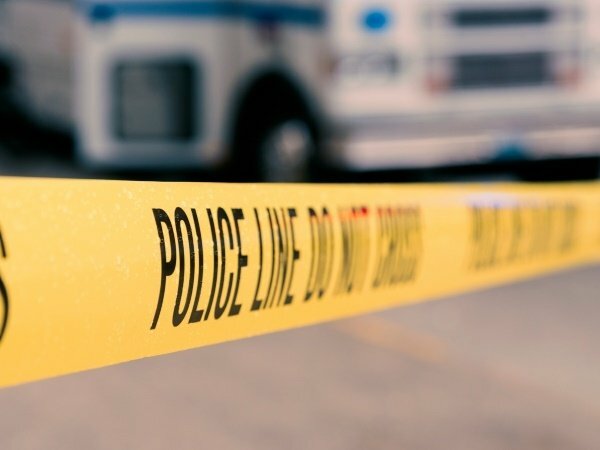 An eyewitness, who did not want to be identified for fear of being targeted, told News24 that he was nearby when he heard shots fired in rapid succession. "I would say it was at least four to six shots, and I saw the guy fell down. The one guy (shooter) got back in the car and another came out. He shot another four shots," the eyewitness said. "It looked like it was a hit and they wanted to kill this guy." Serbian journalist Miloš Lazic says Smiljkic landed on the police radar in that country after being arrested for his involvement in a fight in 2003. "He wasn’t a first league criminal and did not have serious police record in Serbia, but police know about him. He was muscle for hire. He went to SA more than a decade ago," says Lazic. According to a Serbian media report from 2003, Smiljkic was arrested along with a dozen other men who had all allegedly been involved in a brawl at a club in Belgrade. The reports suggest he was a patron at the bar and not one of the club's security guards. The incident is also listed on a Serbian database of incidents involving security officials. There is only one more recent mention of Smiljkic on the internet – he’s listed as a director of a small Serbian company that bottles drinks. It was only established last year. Lazic says Smiljkic had left for South Africa a decade ago and was linked to other high profile Serbians in this country. "He had links to Dobrosav Gavric crew (killer of Serbian warlord Zeljko "Arkan" Razatovic). Serbian police are checking whether some companies in Belgrade are connected to Smiljkic. There are rumours here that it is all about drug business that went wrong. Serbian criminals are very strong in South America, in Peru, Argentina and Brazil, and cocaine trafficking via SA has increased in the last 10 to 15 years." This weekend’s shooting is just the latest in a series of targeted murders in South Africa involving Serbians with links to organised crime. In October last year, a 49-year-old man of Serbian nationality was wounded in a drive-by shooting near a Sasol petrol station in Sandton. He was shot twice in the arm and taken to hospital. His identity remains unknown, as does the motive of the shooting. Arguably the most high profile shooting was in September last year, when businessman Djordje Mihaljevic was gunned down in his Porsche Panamera in Bedfordview on Heritage Day. He was driving along Van Buuren Road when two men on motorbikes opened fire on him. Mihaljevic, who grew up in South Africa and was known as "Hollywood George", was of Montenegrin descent. He had done business with Czech convict Radovan Krejcir and was friendly with Chris "Mr Big" Couremetis, who was gunned down at a wedding in Muldersdrift in 2012. In April last year, Milan "Miki" Duricic was shot dead at a traffic light in Strijdom Park, Johannesburg. Duricic had stopped at a red traffic light on the corner of Fabriek and Gerhardus streets when he was shot several times. His body was found slumped over the steering wheel. He was wanted in his home country for the killing of Arkan in 2000. It's thought he had been hiding in South Africa for years. Duricic was convicted and sentenced in his home country for participating in the murder. Meanwhile, his associate, the so-called "Arkan Killer" Dobrosav Gavric, has been held in prison in Cape Town since 2011, when he was arrested following the shooting of underworld figure Cyril Beeka. Gavric, who used the pseudonym Sasa Kovacevic, was driving Beeka when he was killed in a hit. Last July, also in Randburg, another Serbian with links to organised crime was killed. Alleged mobster Darko Kulic was shot dead while driving in a BMW X5 with his wife Gordana Markovic and an elderly man. According to eyewitnesses, gunmen used a Mercedes-Benz to force the BMW to a stop while driving along President Fouché Drive. The hitmen opened fire, killing Kulic. A burnt-out vehicle, believed to be the Mercedes-Benz used in the attack, was found nearby by security guards. Kulic fought in the Serbian Guard, a paramilitary group, during the civil war in Yugoslavia. He had also served 12 years in prison for the murder of a rival mobster before coming to South Africa. Kulic was Mihaljevic's close friend. In May last year, a contract agent for the South African State Security Agency (SSA) was killed in a hit in New Belgrade in Serbia. George Darmanovic was a key player in the South African underworld. He was shot dead while waiting to meet a source. It's believed Darmanovic knew and had links to Kulic, Duricic and Mihaljevic. In September 2017, a man of Serbian descent was shot while sitting in his car at the KFC near Bedford Centre at 10:00 on a Tuesday morning. He had an old Yugoslavian passport on him. He was rushed to Edenvale Hospital and survived the shooting. Police sources say they believe all the shootings must be linked and all the dockets have been centralised for investigation. It’s believed the murders may be as a result of a drug deal gone wrong and there are suggestions that South Africa is being used as a proxy battleground for warring eastern European crime syndicates. They face no consequence for their actions and police have thus far not made any arrests in connection with any of these murders or given any indication what the motive may be for any of these crimes.